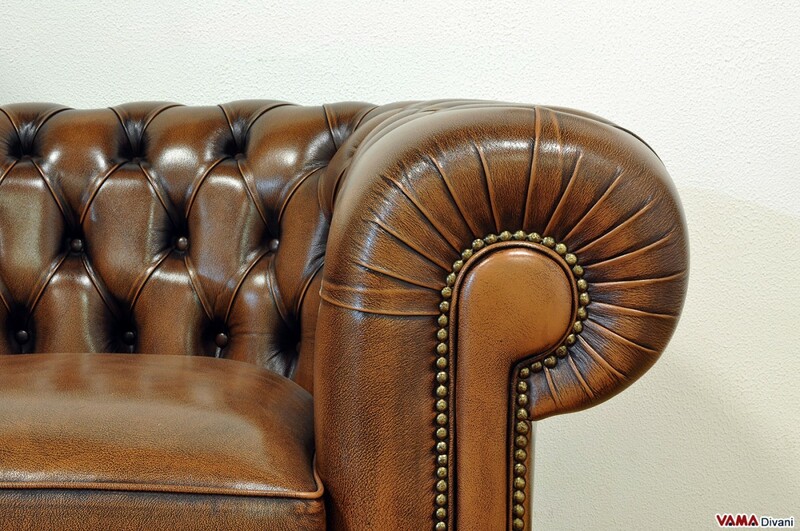 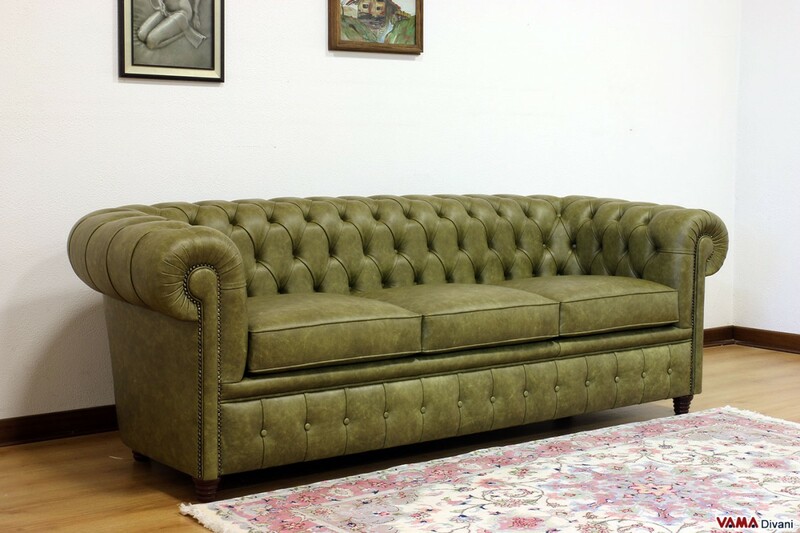 Lovers of old and traditional finishing will surely like our Old Style Chesterfield sofa. 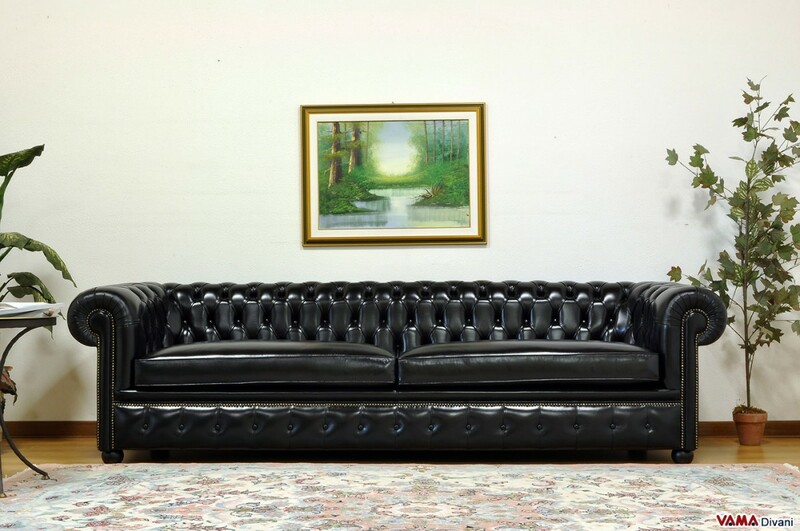 This beautiful version of the famous Chesterfield sofa is really ideal for lovers of classic furniture and for those who are looking for a fascinating and prestigious sofa. 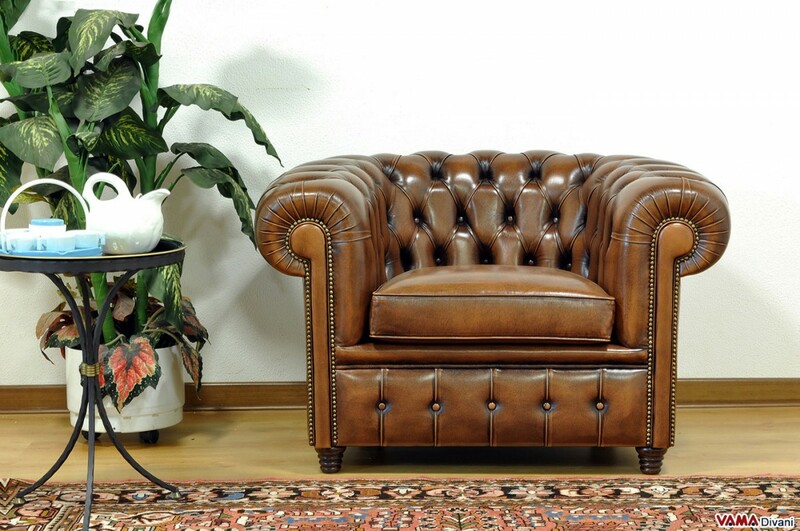 The Old Style Chesterfield sofa, with its so regal and well-finished look, will immediately impress you and you will love it for its great elegance. 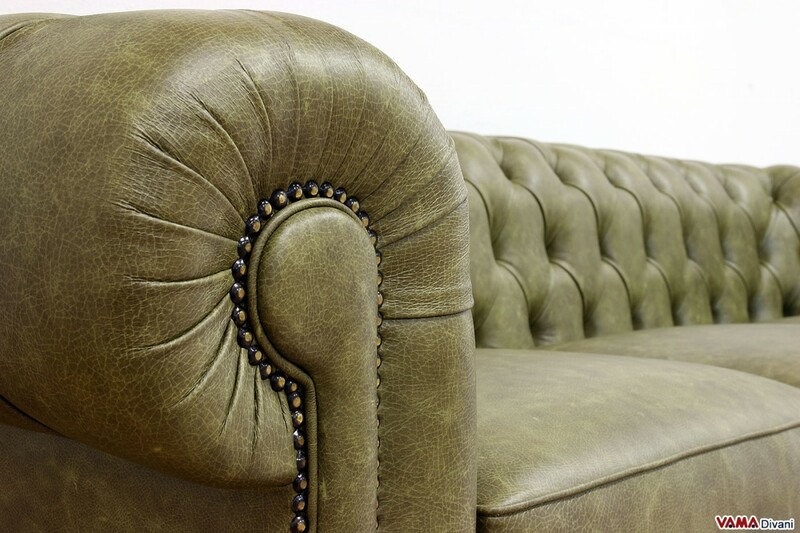 Its leather upholstery is perfectly decorated and buttoned, a common detail for all the Chesterfield sofas thanks to the application of small buttons. 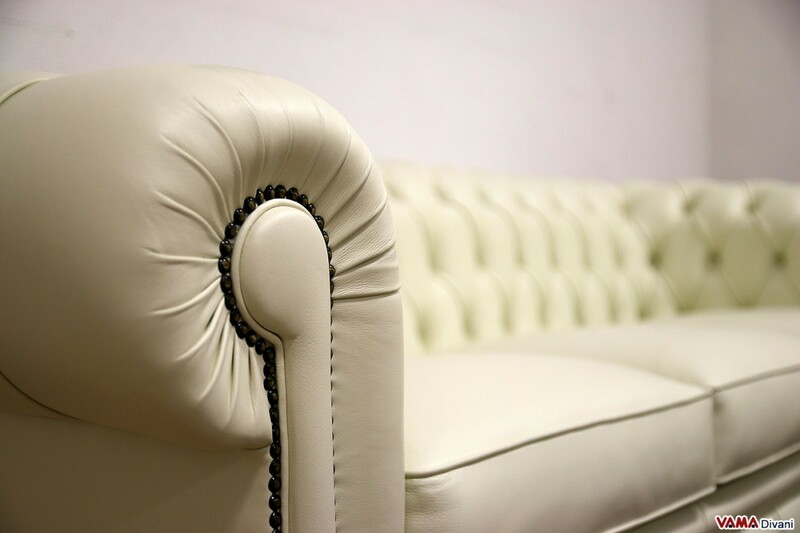 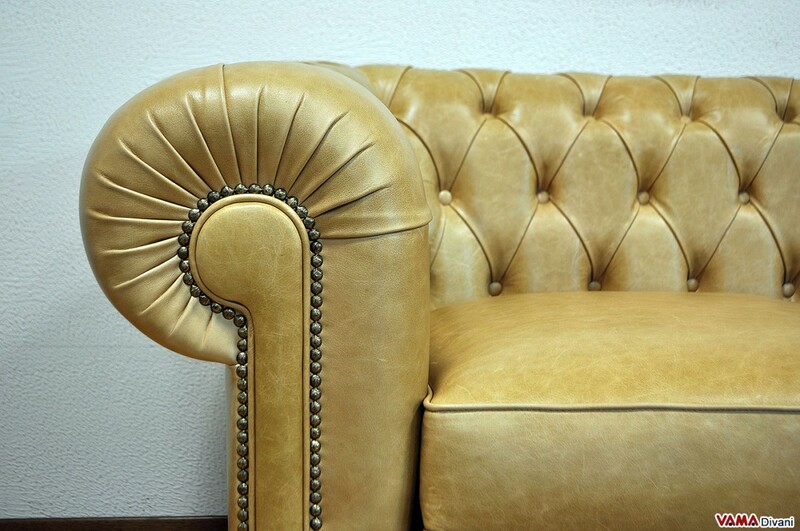 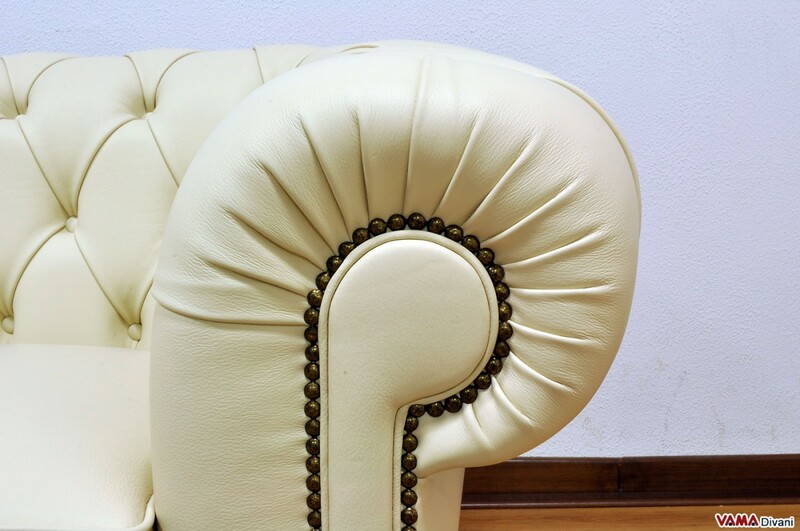 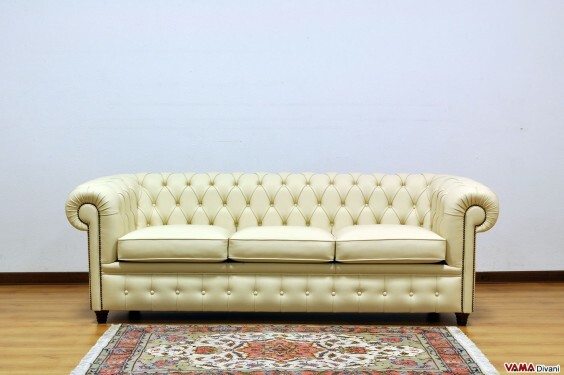 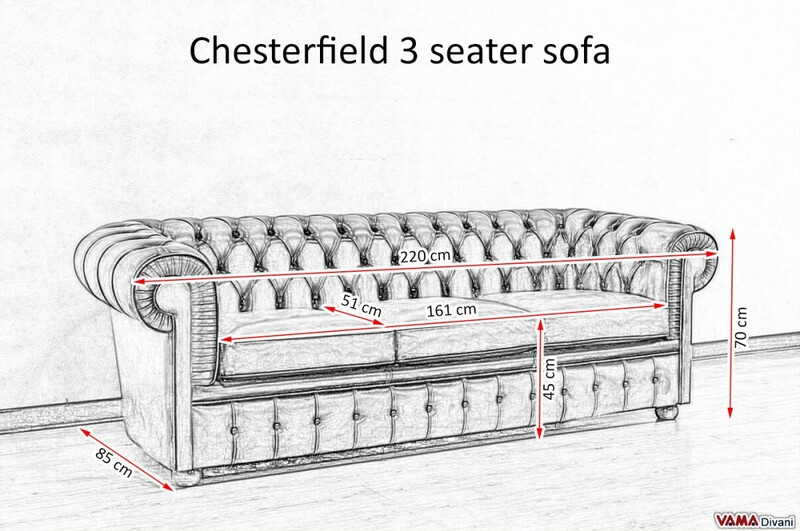 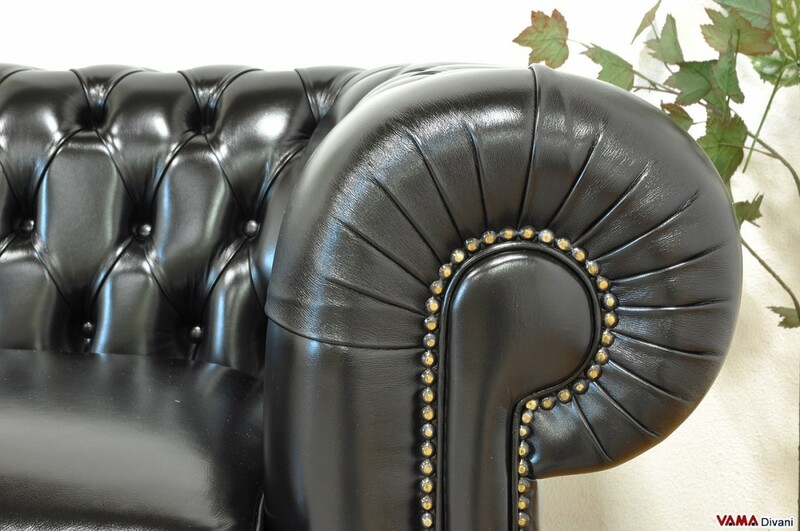 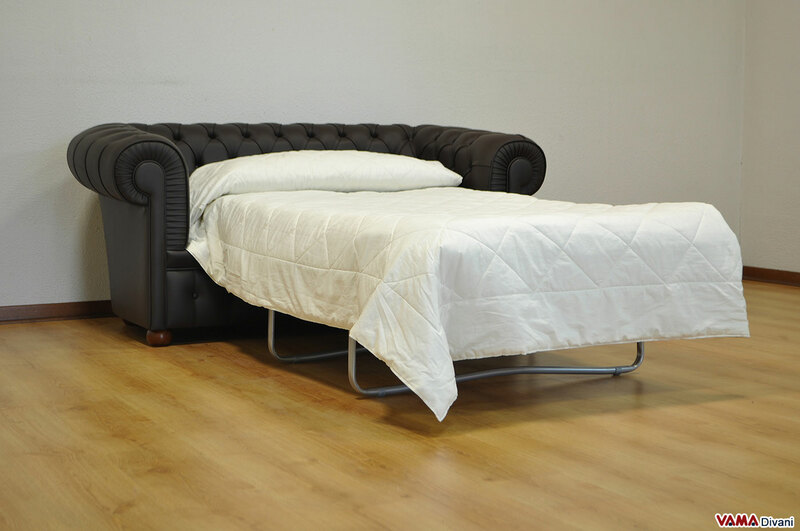 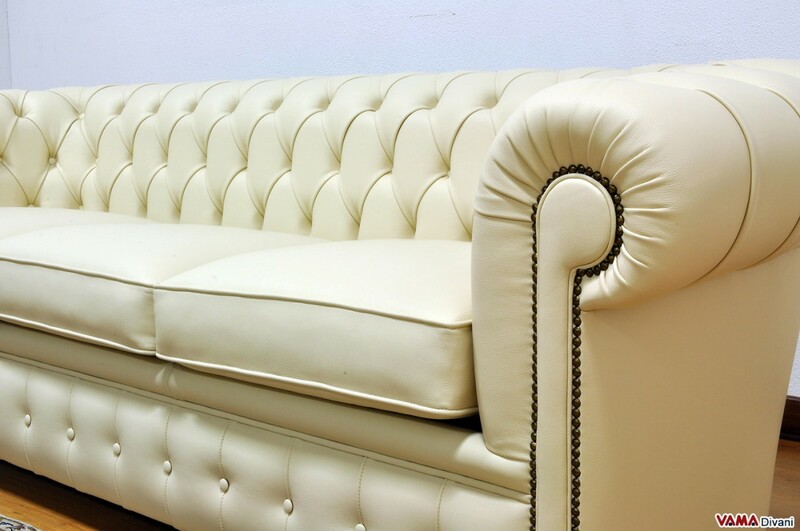 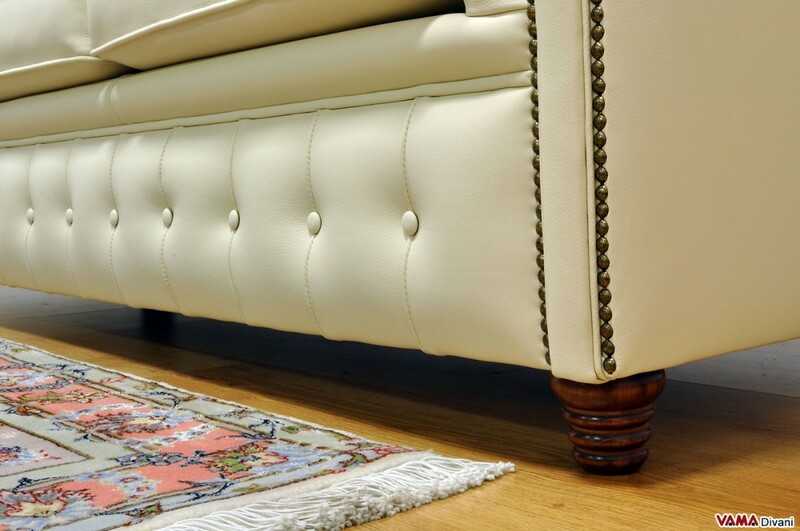 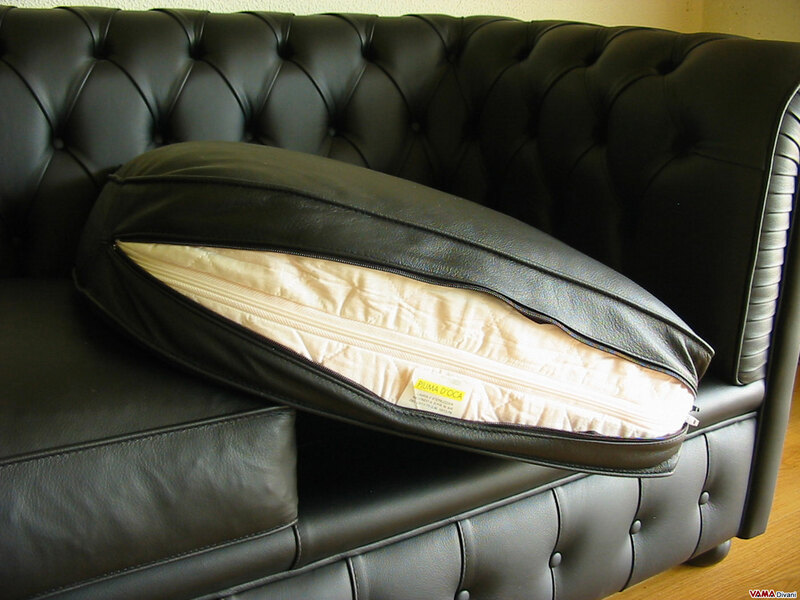 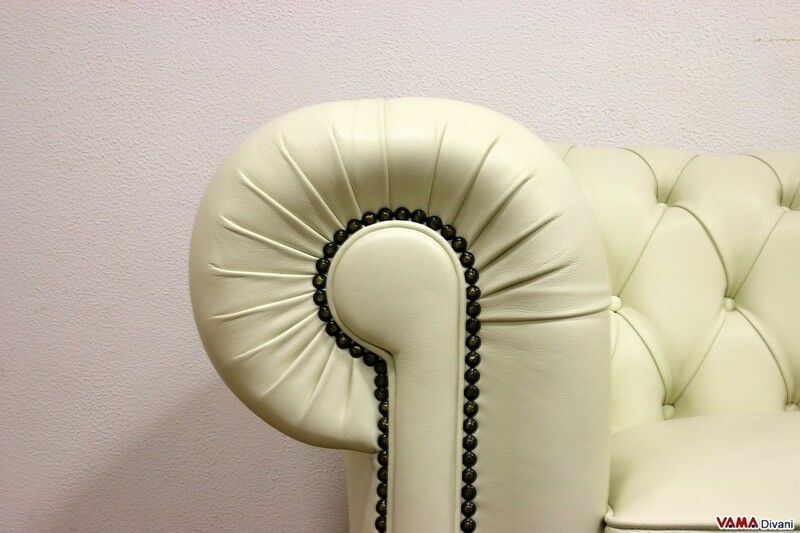 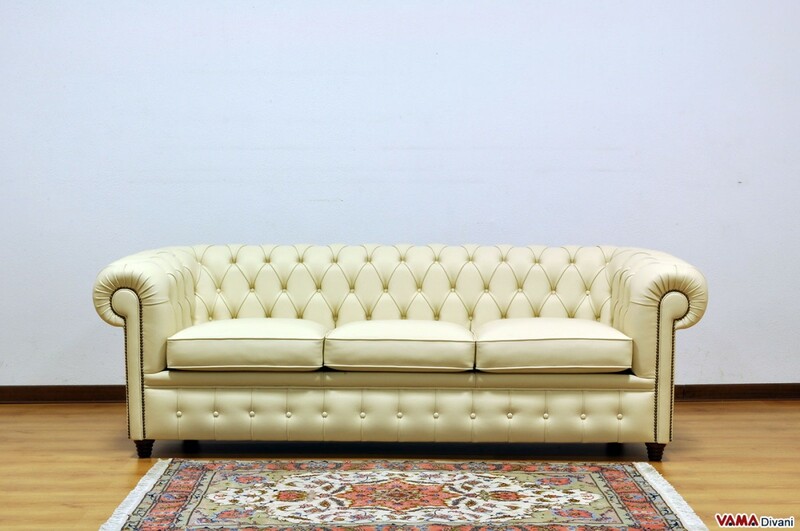 The Old Style Chesterfield sofa is characterised by many details which make it a unique piece of furniture: its small studs which surround its arms, in fact, are not even present in the more classic Chesterfield sofas, its arms even present an external edge and are finished with accurate pleats. 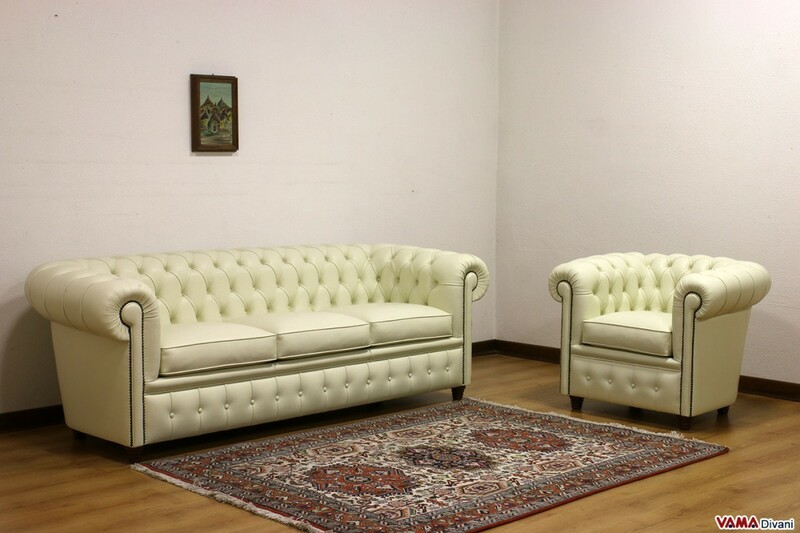 As well as featuring a classic and charming elegance, the Old Style Chesterfield sofa is very resistant, thanks to a solid internal frame and selected materials. 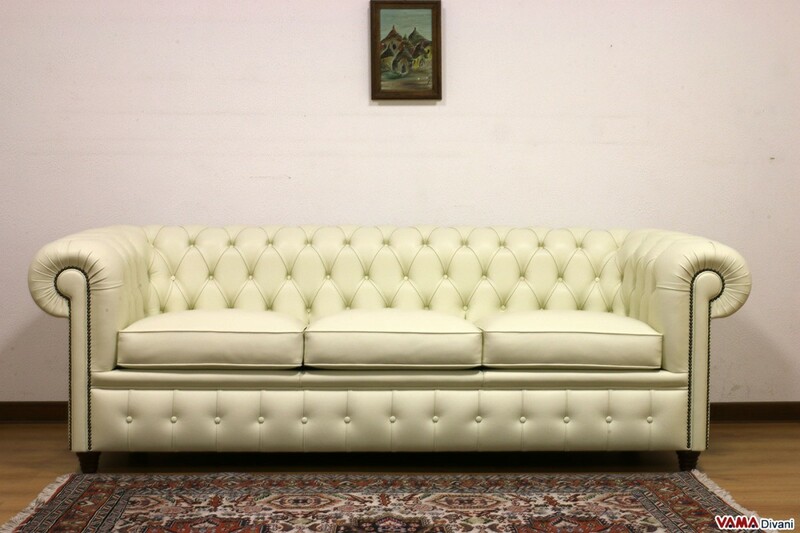 VAMA Divani, however, offers the opportunity to realise this classic sofa in a custom version.